When summer hits it hits hard, with all the fury of a February blizzard. Fight it and you will find yourself cursing the humidity, cursing the bugs, dreading the heat, whining about the birdsong and blueberry stains on your shirt. Lean into summer as you would a lover. Summer passes in the blink of an eye and we will be shoveling grey mounds of snow soon enough. 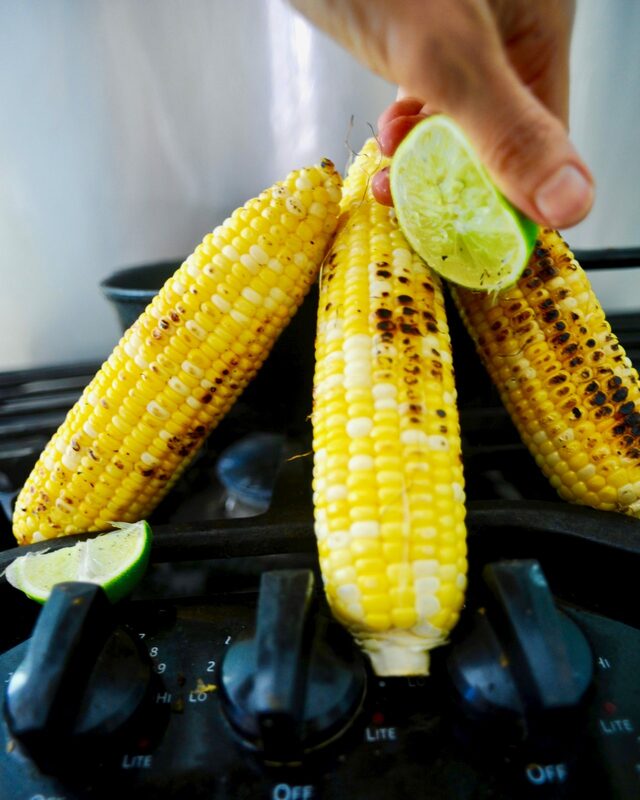 Grilled Paprika-Lime Corn on the Cob takes advantage of the bounty of summer. 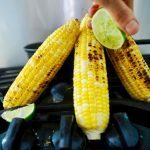 Peel each ear, and give your plump corn a quick charring on the grill, slather it with lime paprika sauce that blooms with smoky garlic flavor as it hits the hot corn. 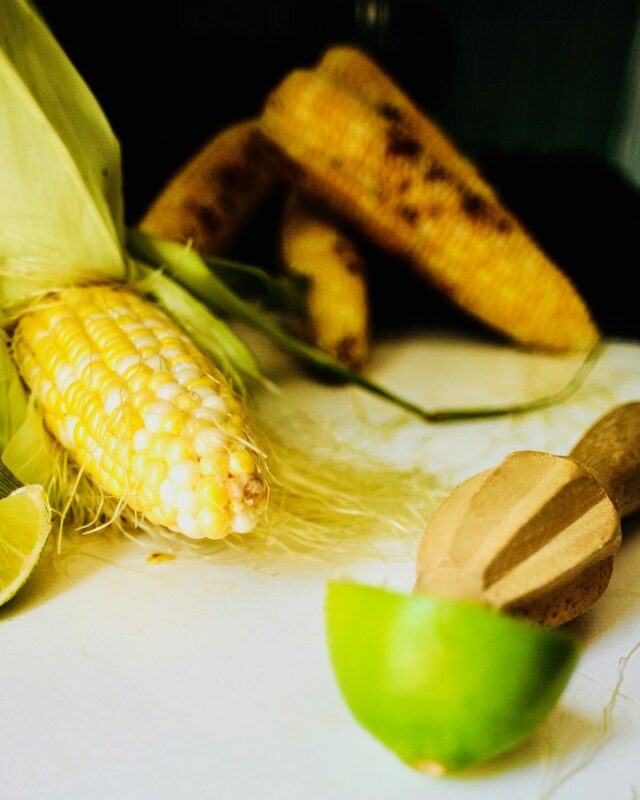 Charred sweet corn drenched in bright paprika infused lime juice. 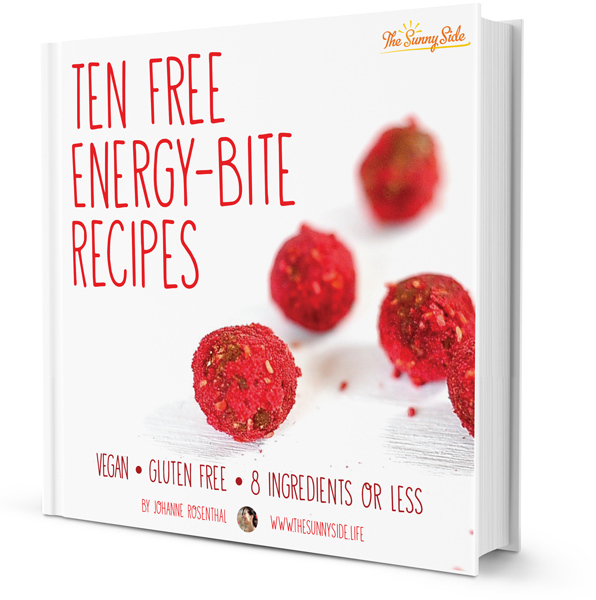 Bring these to your next bbq and throw them on the grille. Most days I prefer these to a vegan burger or potato salad. 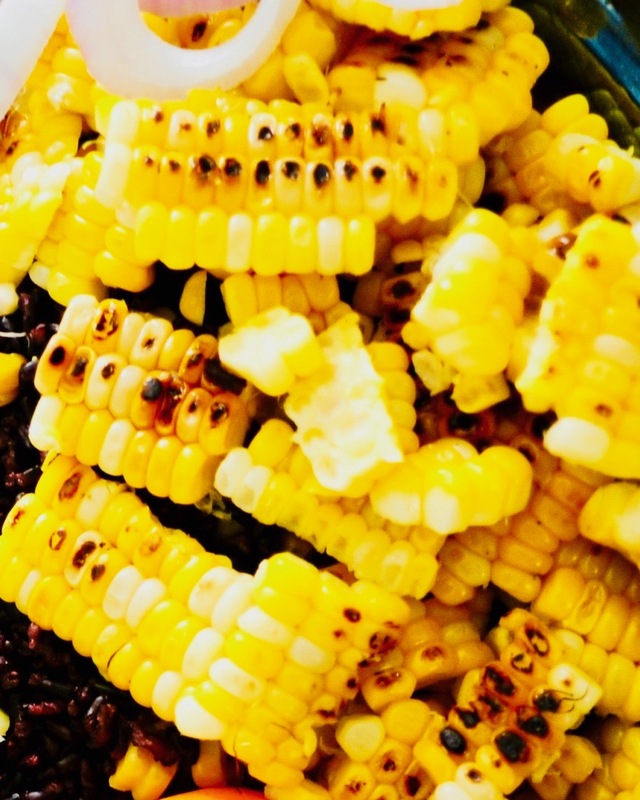 Peel your corn(s). You can see from the photo that I didn't fully get all the fine silk off. I don't mind it when it is a bit charred. Into a small bowl place the mashed garlic, paprika, zest, salt, pepper, and the juice of the lime. Whisk. Heat up your grille. I use a little hibachi that I bought because it reminds me of my childhood. 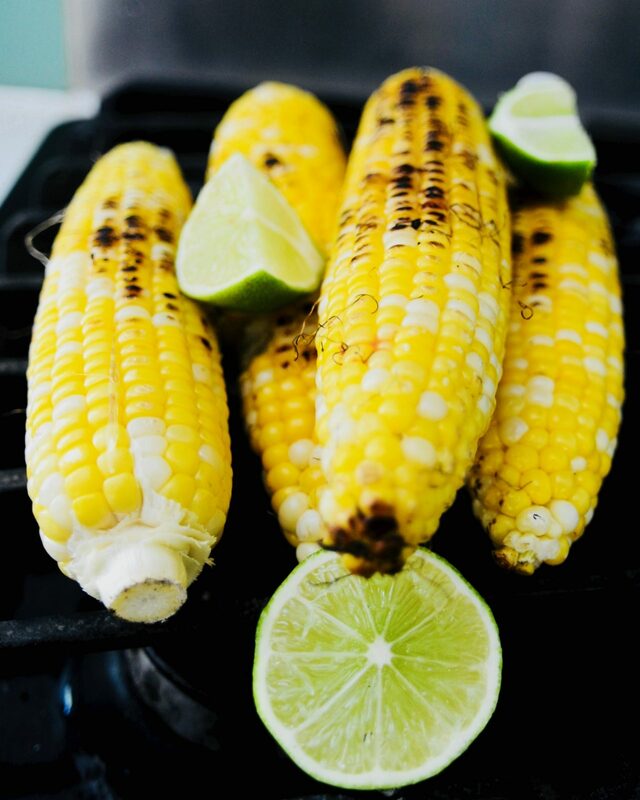 Over a hot grill place your corn and turn occasionally until charred and tender but still moist about 6-8 minutes total. Brush with your lime juice mixture and munch away. I’d take the fresh sweet corn too! That’s the American food that I miss most of all. I never thought of putting sauce on them. That looks great. 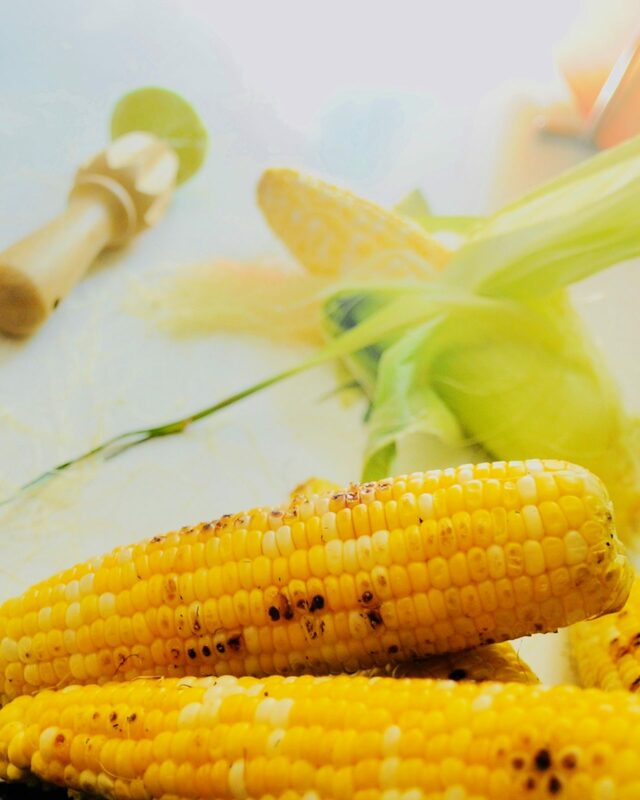 corns are our favorite. Plus its monsoon here in india so we used to eat this every week.. What a vibrant photos are these! Priya, monsoons and sweet corn what a dramatic and lovely picture you paint.